I rarely eat in C-Town nowadays, but recently, I went there. This is my second time at this hole-in-wall restaurant. I probably won’t go back. 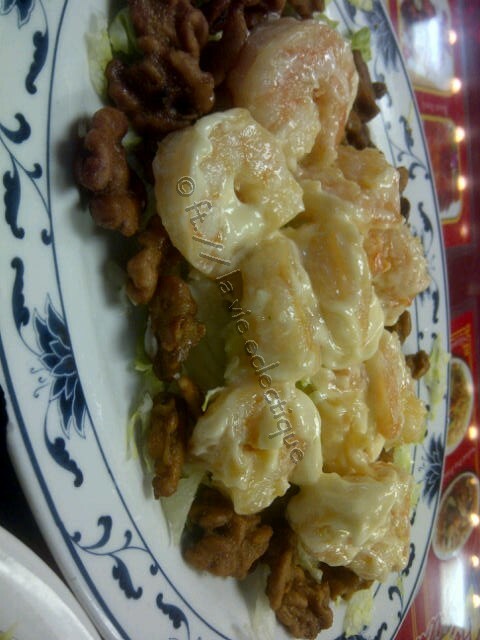 I think 2x is enough for me to say, “Yeah, been there.” It’s just okay Chinese food, nothing to write home about, but this is on the well-lighted and very touristy Grant Ave, so I went in and treated myself to Walnut Prawns. I think I was the only local there besides the restaurant staff. MIXED FEELINGS: Walnuts in the dish. On one hand, they are not overly sweet like some of the other restaurants, but on the other hand, I don’t know…they are just not very crispy…Hmm. It looks good and usually hole in the walls are frequented more by locals because they are really good and homemade. I liked how you pointed out that you were the only local there, besides the staff; that says it all! Thank you for sharing. It’s touristy area. It’s not bad, just not as good as some other places I have been to.